Why didn’t I think of that? 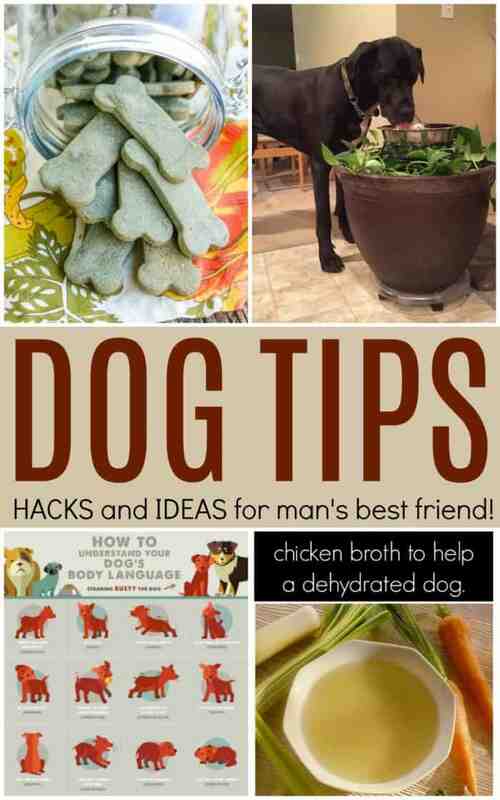 Tips and Hacks for your dog. 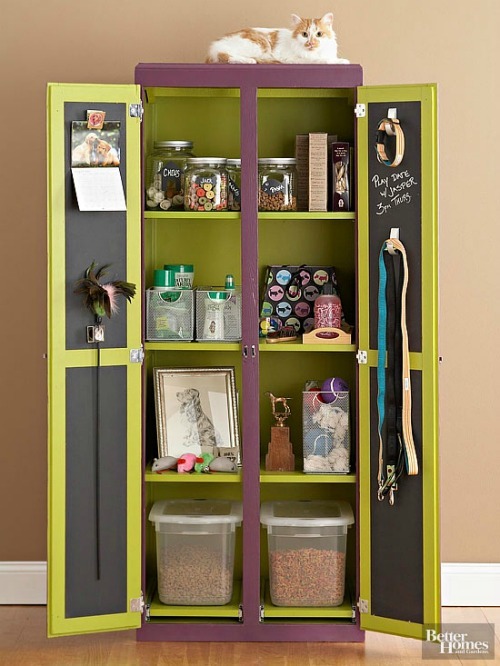 Man’s best friend will appreciation these ideas from snacks to beds to leashes and more. 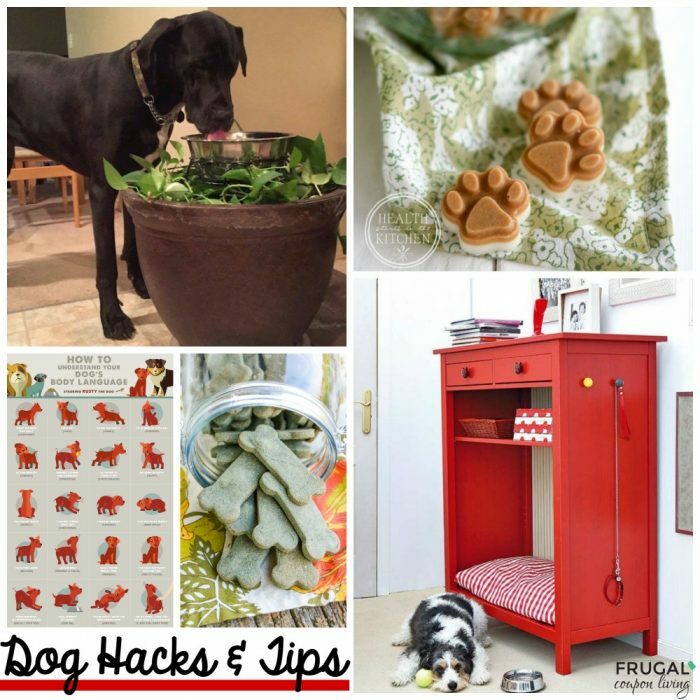 Whether you are an old dog that might need some new tricks or a new owner of a puppy, we wanted to share with you some Tips and Hacks for your dog that you wish you knew a long time ago! On the go? 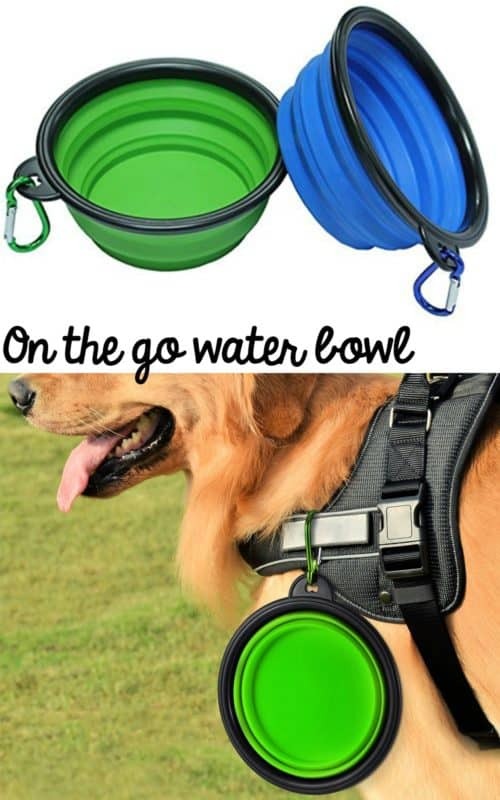 Grab this on the go water bowl with a Carabiner Clip for easy carrying. Is your dog terrified by thunder or loud noises? 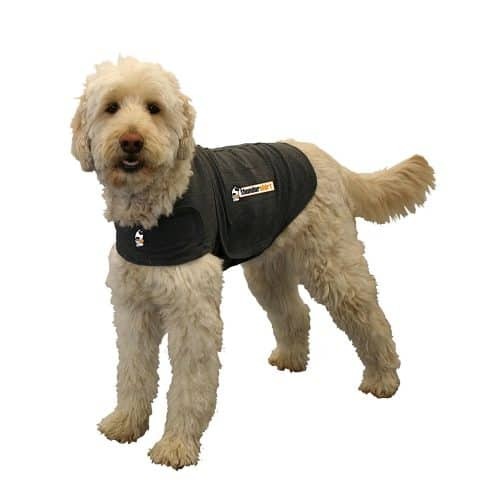 Take a look at this solution – a Thundershirt! Is your pet a scratcher? 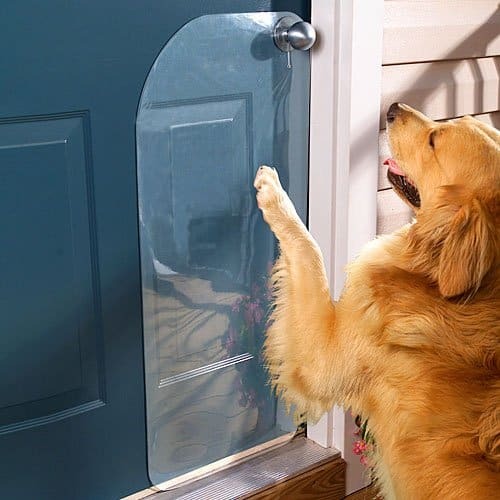 This Door Scratch Protector might be your trick! Is your dog sick? 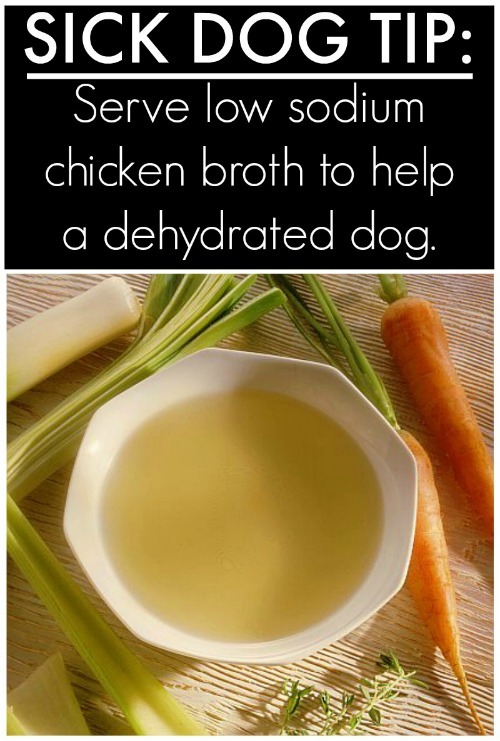 Try this Homemade Chicken Broth for Dogs – great for a dog that is dehydrated. 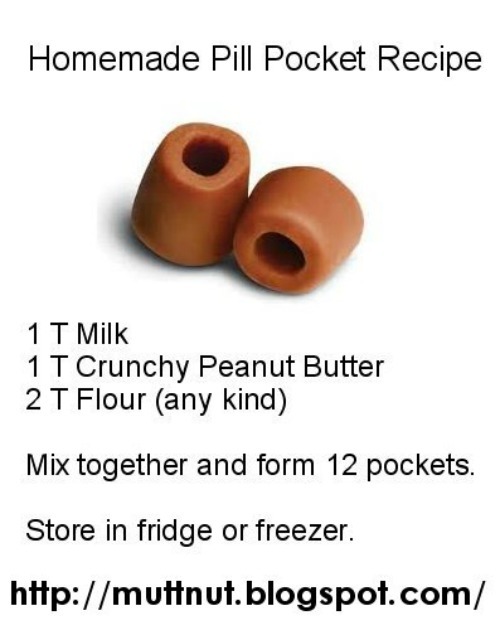 Recipe on Trupanion. 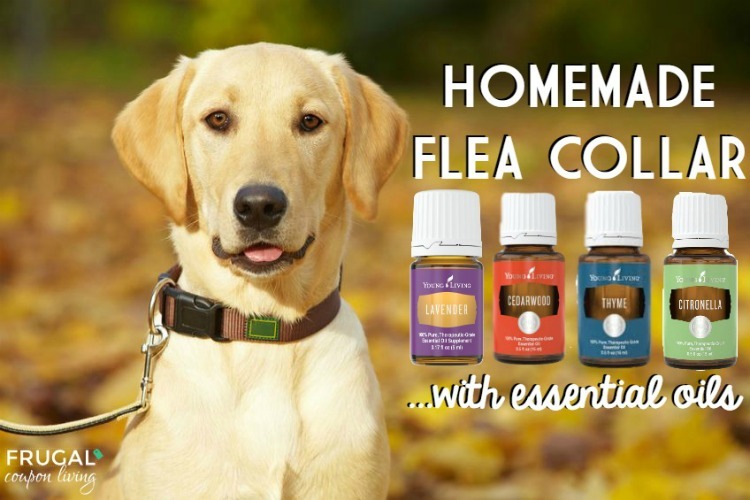 Check out this DIY Flea Collar with Lavender, Thyme, Citronella, and Cedarwood from Frugal Coupon Living. See where I get My Essential Oils. 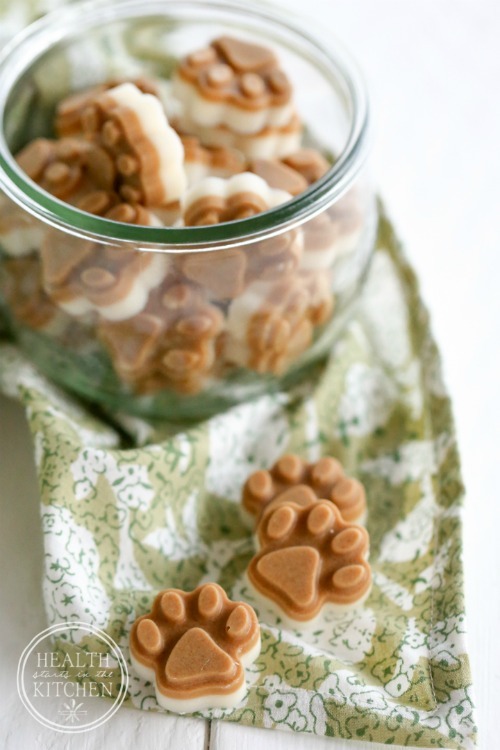 Also prevent fleas with these Homemade Flea Prevention Dog Treats from Health Starts in the Kitchen. 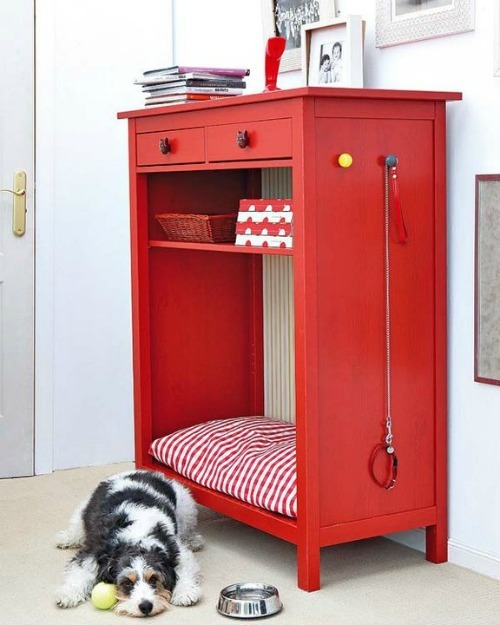 Hide a dog bed in furniture like this Upcycled Dog Bed from How to Do It. 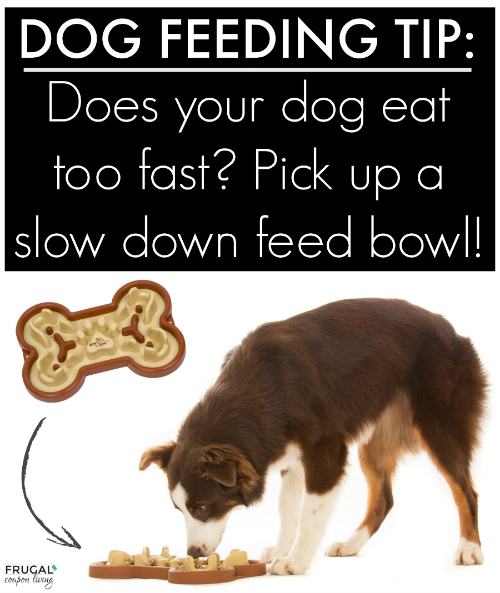 Does your dog eat too fast? 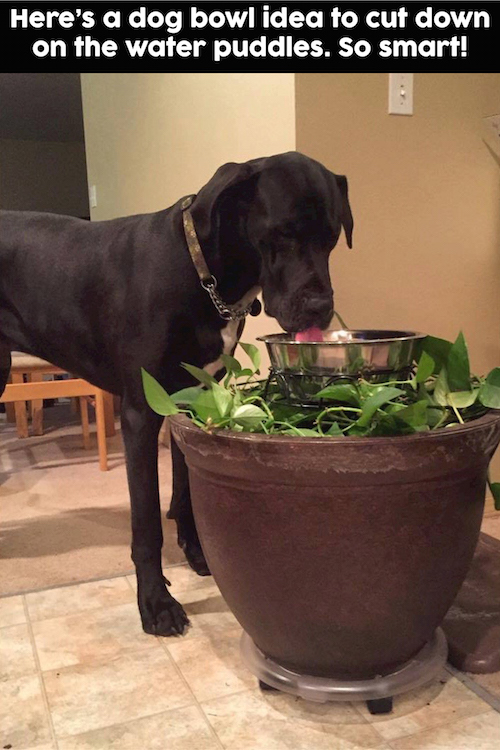 They make a bowl for that – Guzzle Muzzle Slow Feed Dog Bowl. See more options HERE. 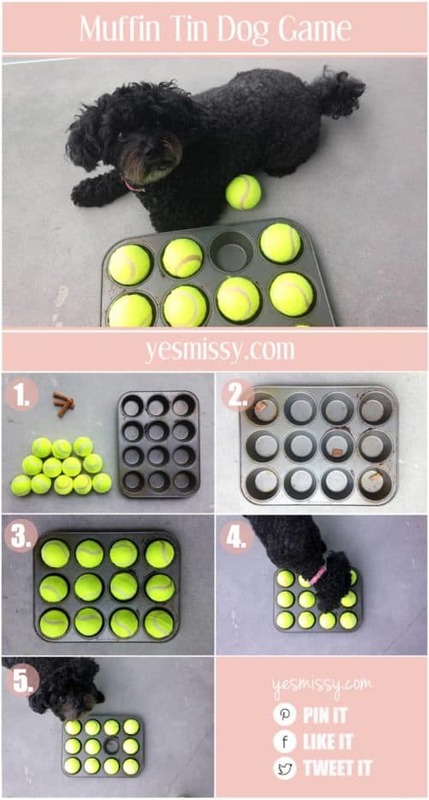 Play the muffin tin game with your dog from Yes Missy. Potty Training? 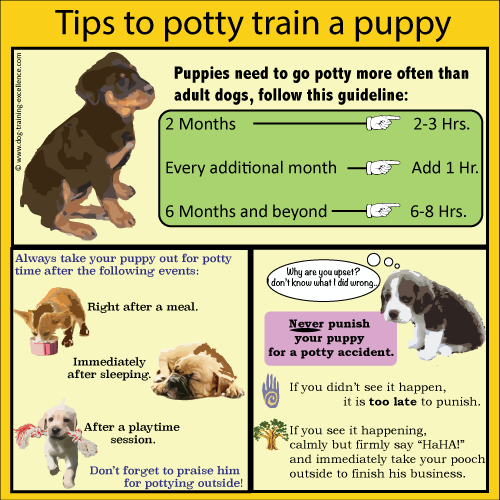 Dog Training Excellence has some Positive Potty Training Methods to train your pup! Know how to save your dog’s life with these CPR and Heimlich Practices from Top Dog-umentary and imgur. 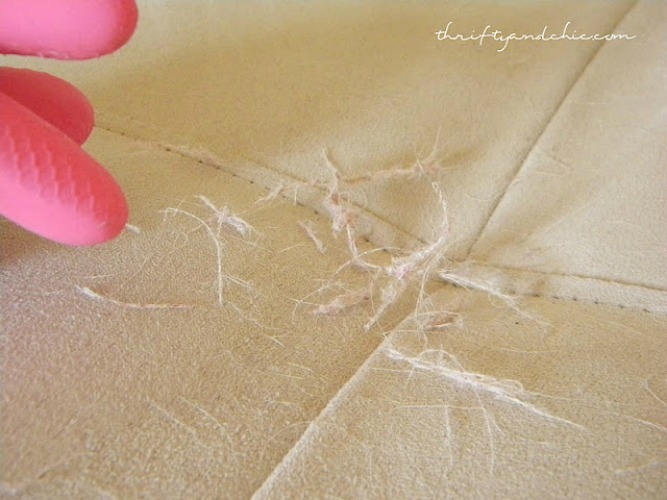 Clean Pet Hair from Fabric – wet a Rubber Glove and wipe off a fabric surface with excess dog hair. 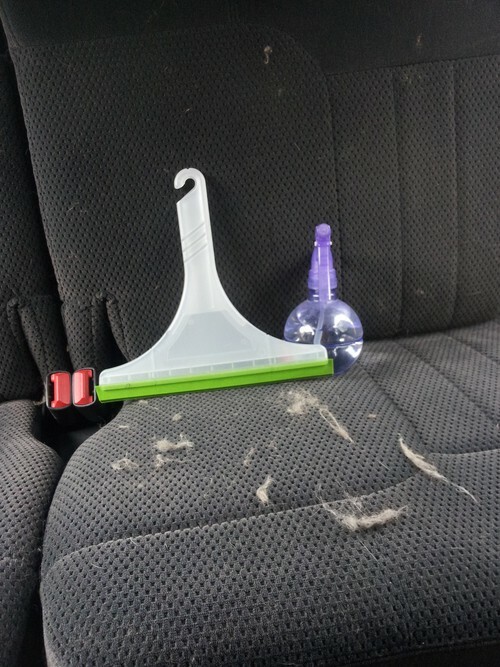 This tip comes from Thrifty and Chic. New to having a dog? 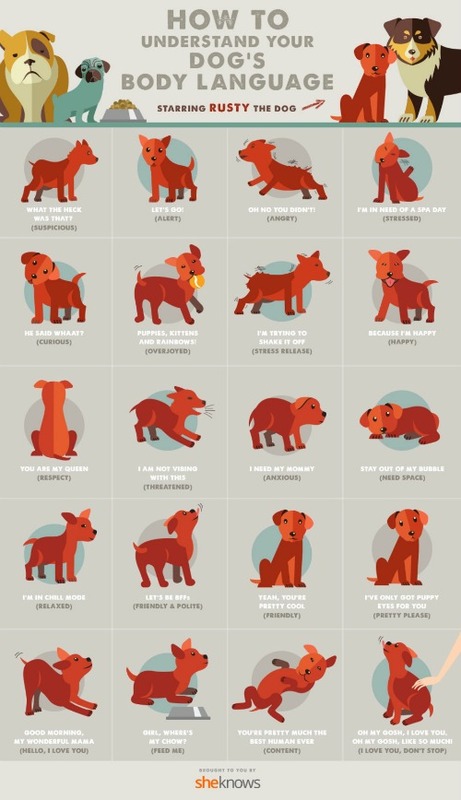 Check out this chart of a Dog’s Body Language from She Knows. 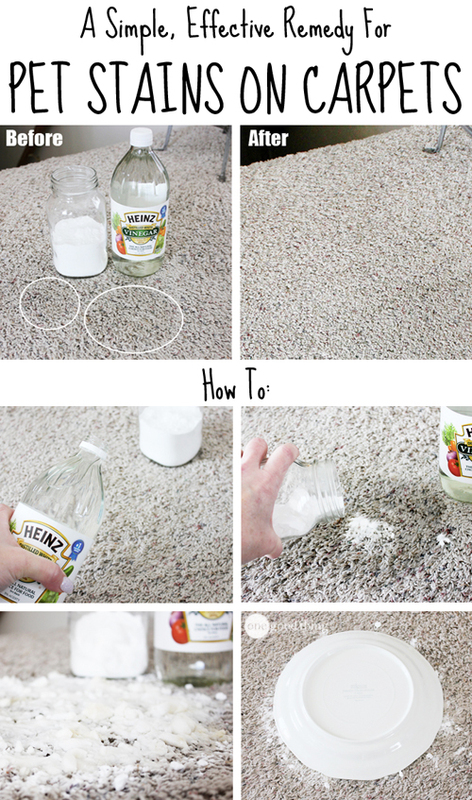 There is going to be a mistake or two or plenty, take a look at this Simple, Effective Remedy For Pet Stains On Carpets from One Good Thing by Jillee. 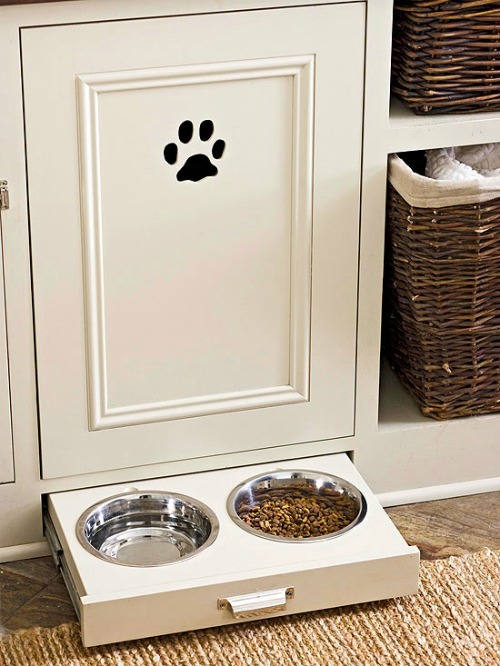 Convert a Drawer into a Dog Bowl with this upcycle project from Better Homes and Gardens. Need to store food. 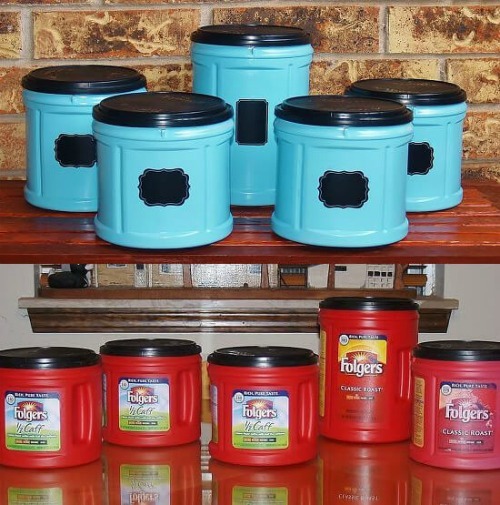 We love this Upcycled Folger’s Coffee Plastic Containers for keeping food and treats fresh from Home Talk. Not crafty? 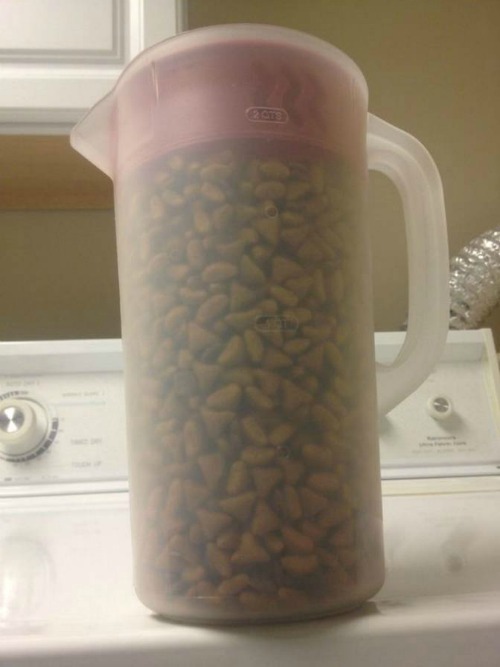 As an alternative use a Plastic Pitcher for Dog Food. This keeps the food fresh and makes it easy to pour. Source Unknown. 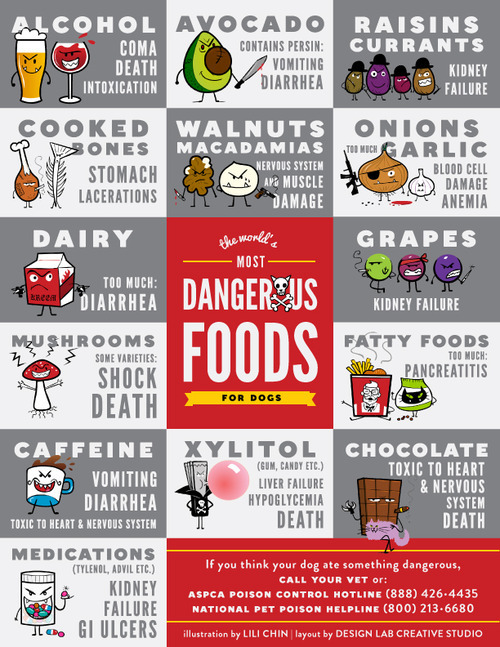 Keep a list of these Dangerous Foods for Dogs. This helpful chart comes from The MNN. Does your dog have bad breath? Parsley might be the answer! 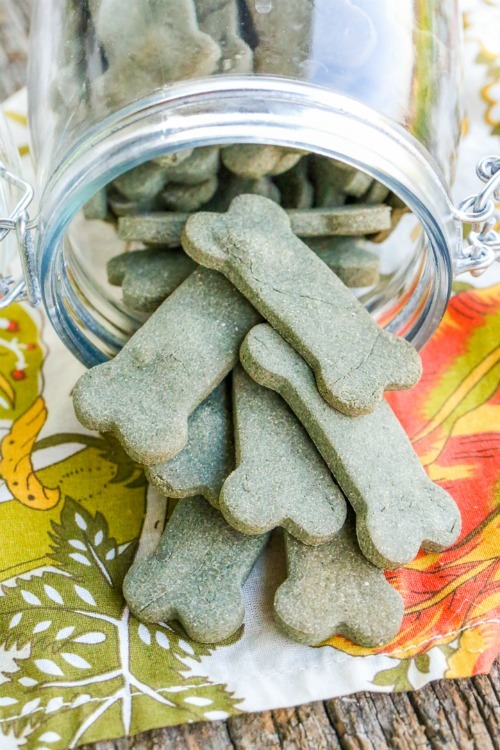 Grab this Bad Breath Dog Treat Recipe from Health Starts in the Kitchen. 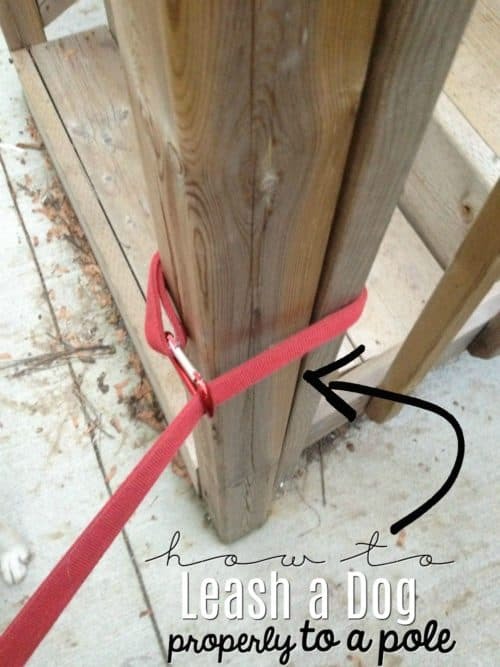 Keep your dog busy for awhile! 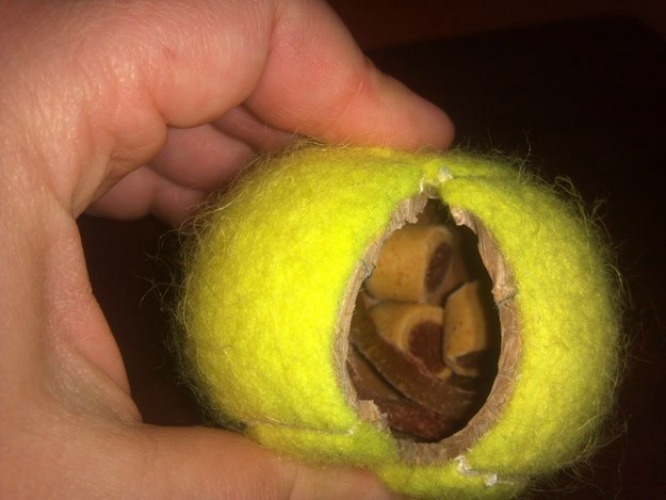 Hide Dog Treats in a Tennis Ball like Heidi’s Old House. 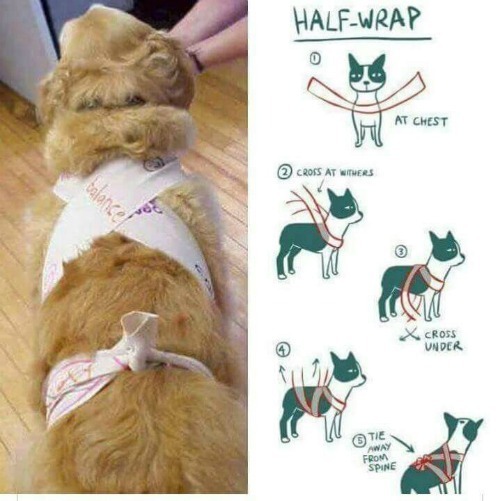 If you find your dog is afraid of thunder or fireworks, try this Ace Bandage Wrap Trick. Source Unknown. If you dog needs medicine, try these Homemade Pill Pockets for Dogs from Mutt Nut. On the go? 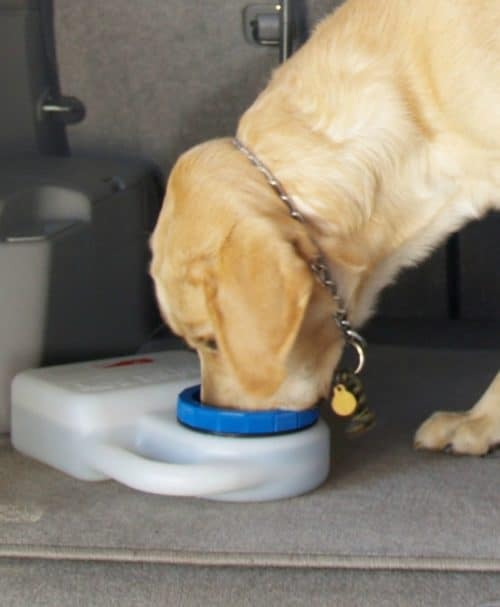 This travel water bowl holds up to 3 quarts of water and facilitates easy travel – PorablePet WaterBoy. 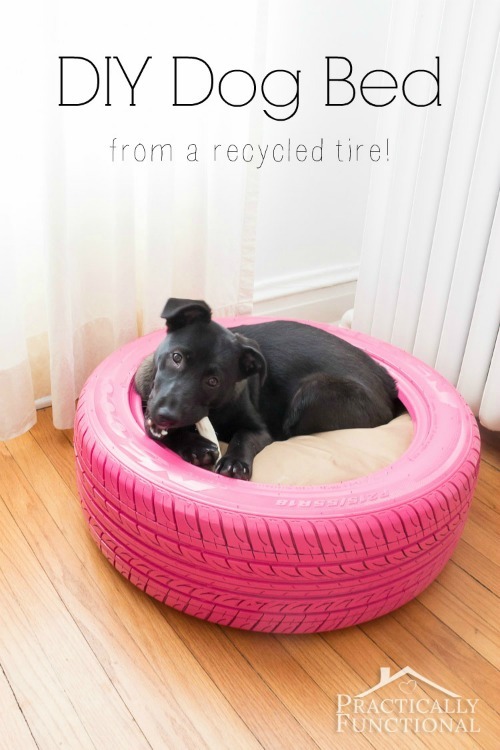 And one last fun tip, Upcycle a Tire into a Dog Bed just like Practically Functional. Also enjoy our Apple & Chicken Pup Pops | Homemade Dog Food – Pin to Pinterest.